Hello and welcome, especially to new likers on facebook and followers on twitter. 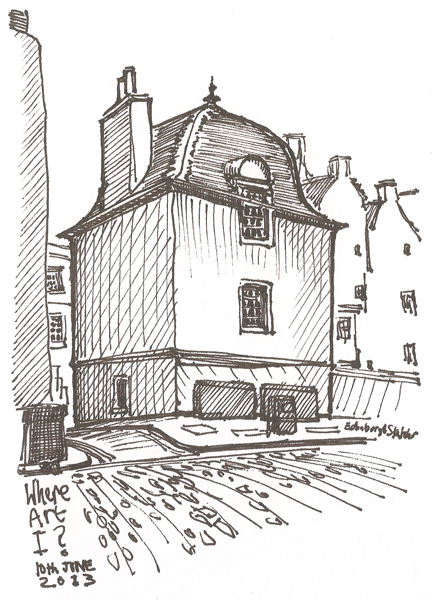 This is my weekly quiz where I sketch a scene from Edinburgh and you have to tell me where it is. Be in the first three to answer and you’ll receive points on the WhereArtI leaderboard. So, can you tell me where art I?